Discover a better insurance-buying experience with Brightway, Oviedo-Winter Springs. Our trusted industry experts combine access to an unparalleled number of insurance companies and policies with personalized attention and service that’s second to none. Our team is led by John Canonico, an agent with nearly 10 years of experience and a passion for helping people enjoy peace of mind knowing they are fully protected. Our office continually receives some of the highest ratings in the area because we believe that developing a relationship with you is the best way to provide superior service. If we can answer any questions about Home, Auto, Life, Business or other types of insurance, stop by or give us a call. 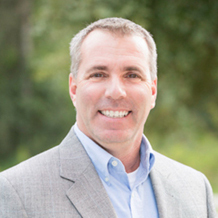 John has a passion for helping people and loves living and working in the Oviedo-Winter Springs area. He has an extensive background in all phases of home construction and remodeling which is a great benefit to his clients and friends. John has been part of the Oviedo-Winter Springs community since 2007 and is active in the local Rotary Club, The Oviedo-Winter Springs Chamber, Christmas Bikes for Kids Program, local churches and other organizations providing help to those in need.